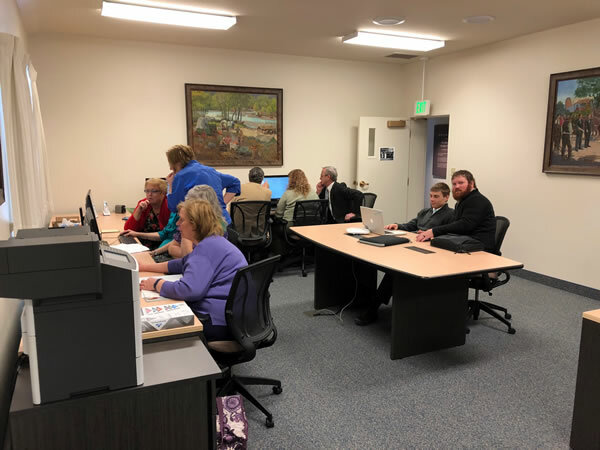 The Cody Mural Family History center is one of two genealogical centers in Cody. It is located inside the same building as the Historic Cody Mural and Museum at 1719 Wyoming Ave., Cody, WY. It not only serves the surrounding area but also serves visitors from all over the world. All community and visitor patrons are welcome. The staff is friendly, knowledgeable and willing to help. The Center has access to the FamilySearch® portal page, which gives free access to premium family history software and five partner websites, such as ancestry.com, that all charge for subscriptions. The Center also has several resources to help patrons do their research, including state-of-the-art computers with access to daily record updates as well as free printing and scanning privileges.